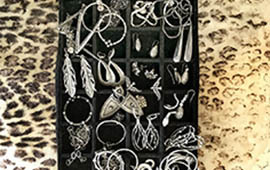 The fact is a jewelry boutique does not need to be big to be beautiful. 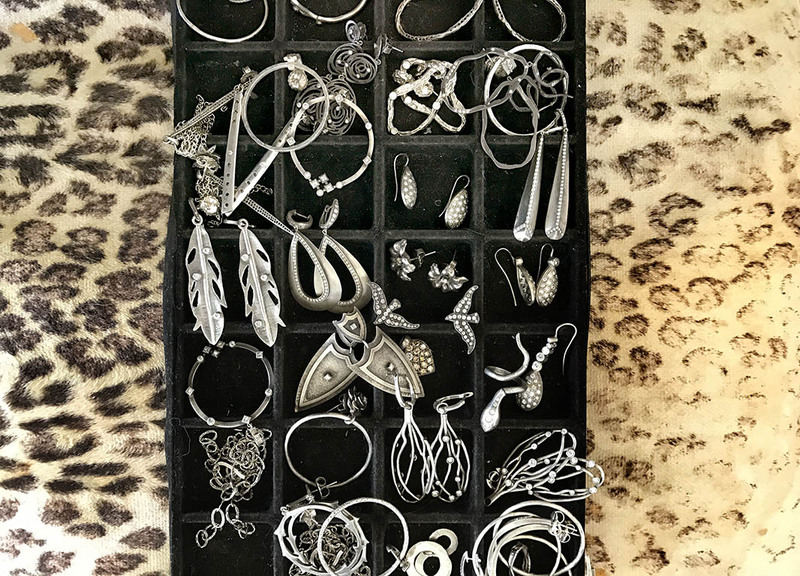 After all, jewelry is small. 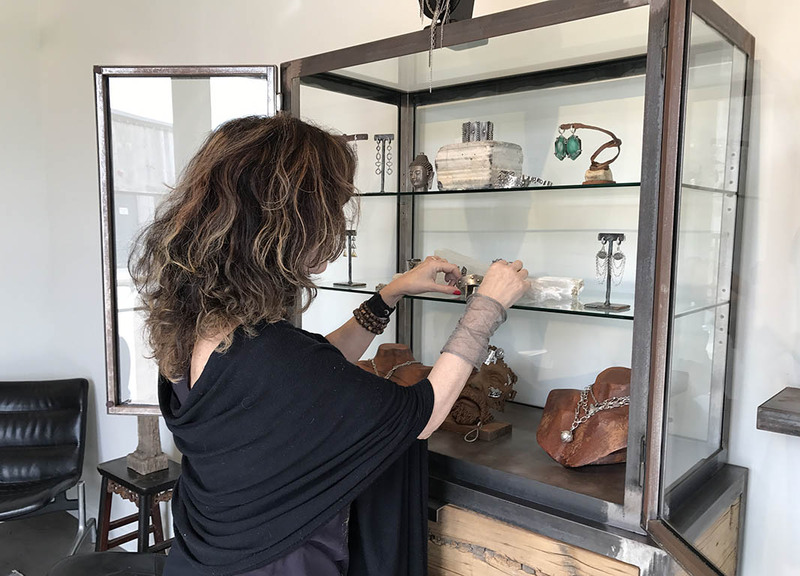 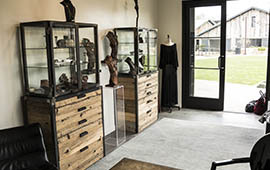 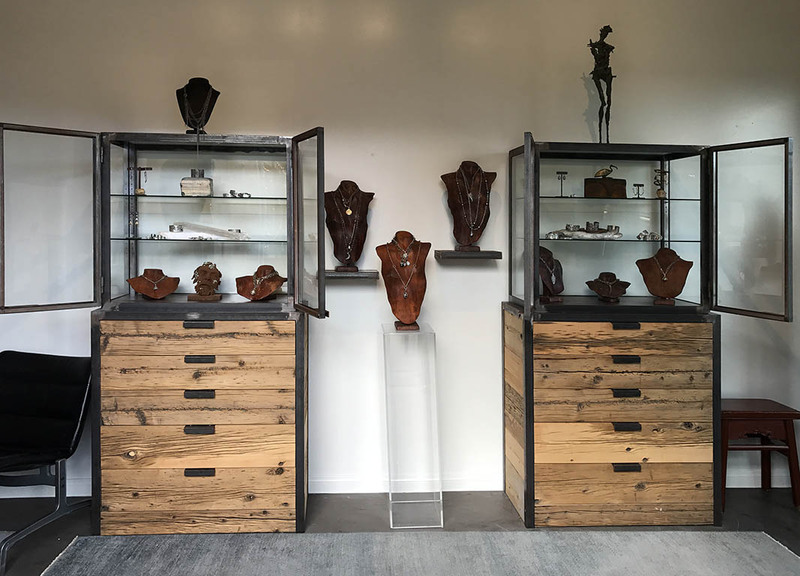 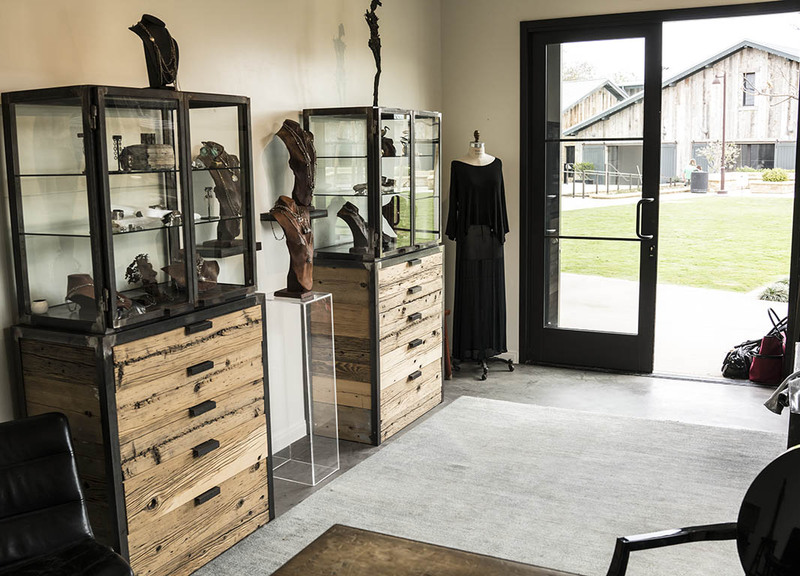 Proof of this theory lays on the enchanted shoreline of Malibu, California, where Irit Design a 230-square foot shop is nestled between the ocean and picturesque peaks in the region. 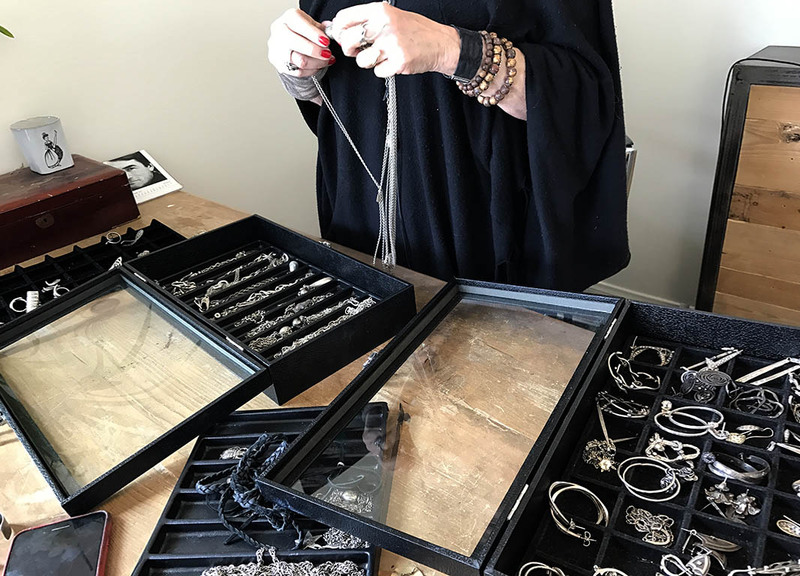 Irit (who goes by just her first name) creates jewelry that reflects the seaside community she calls home. 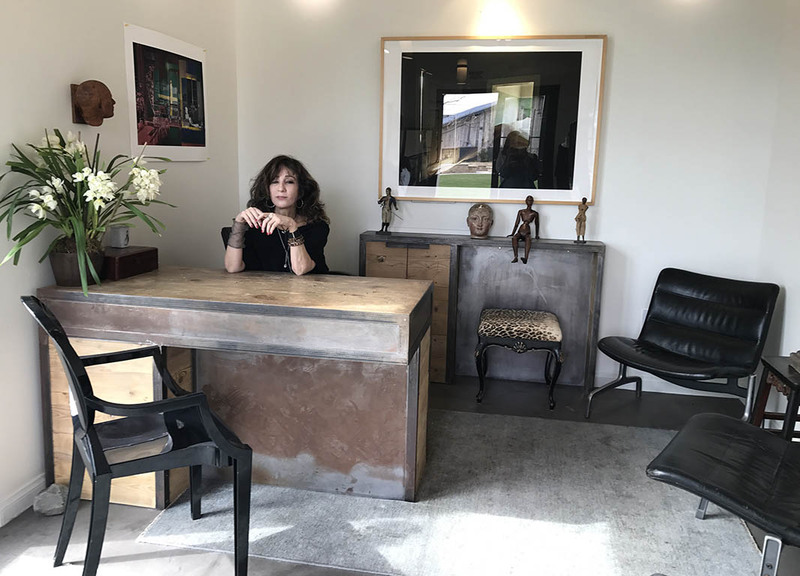 “I don’t want to sound cornball, because I’m not,” Irit delightfully explains. 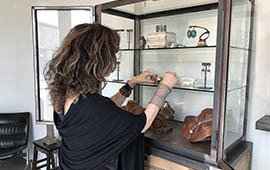 “But the beautiful flowers and gardens and plants out here are an inspiration.” Her collection also includes shark’s teeth and birds. 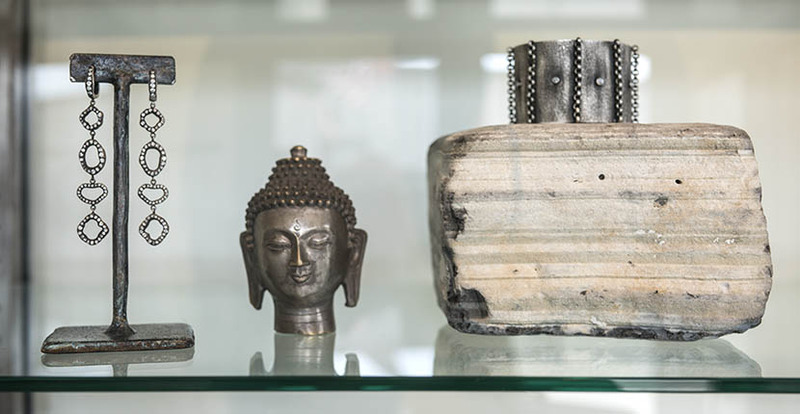 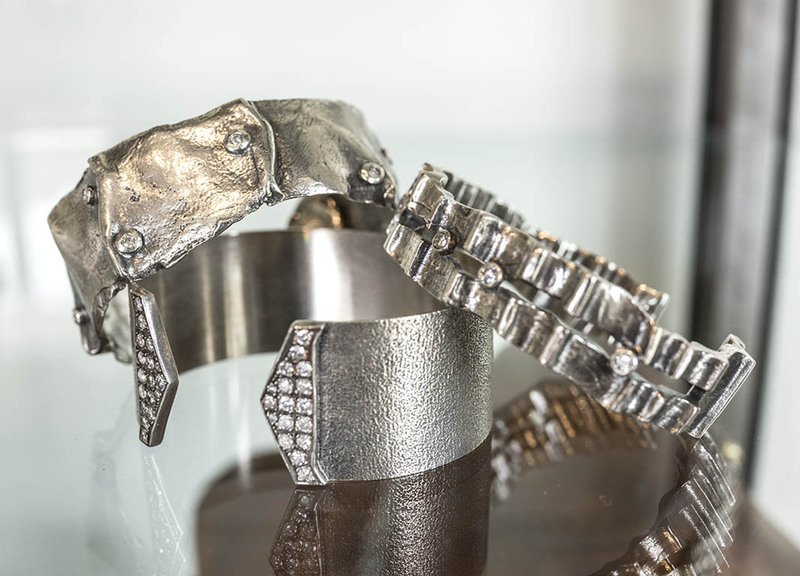 Yet Irit’s designs go well beyond the obvious beauties of the natural environment. 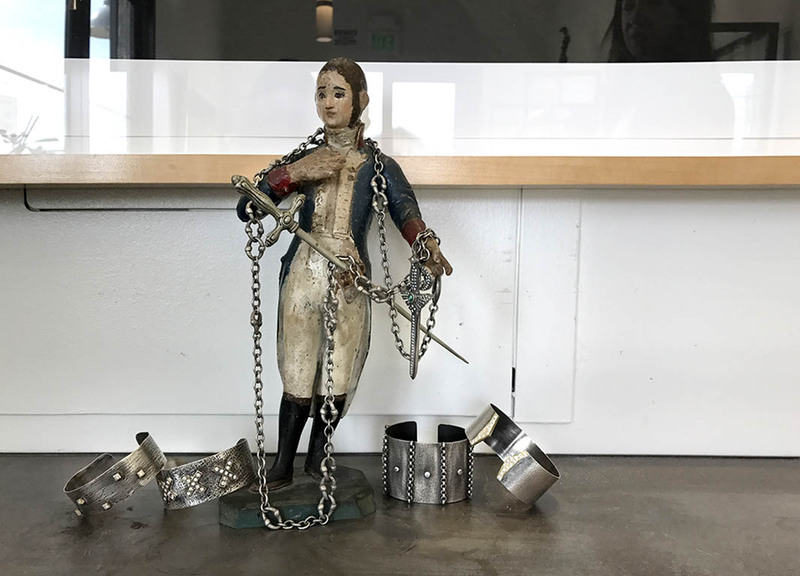 She also thinks in terms of things like the fantasy of what might have been discovered in a nineteenth century European shipwreck. 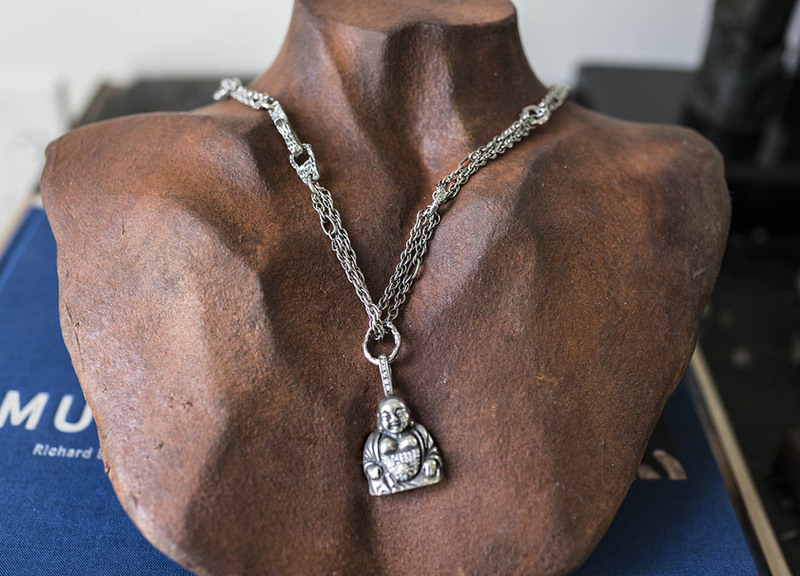 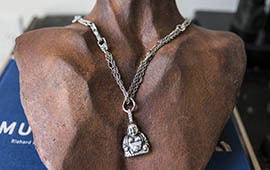 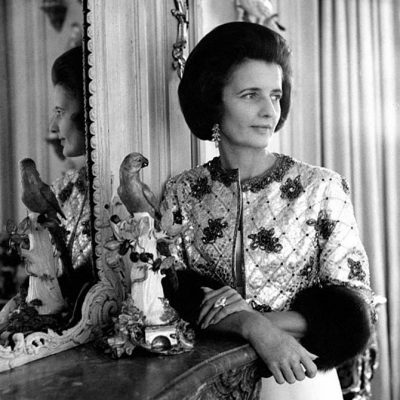 So, there are vintage style treasures including sword pendants, royal orbs and fleur-de-lys motifs. 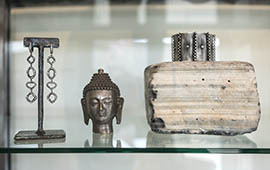 There are also several Buddhas. 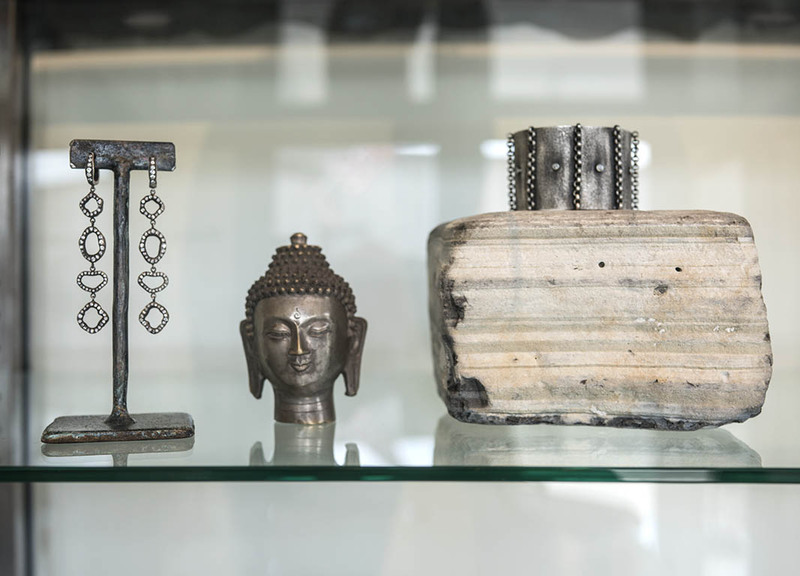 “They are about the sense of calm and Zen that we all try to get,” explains Irit. 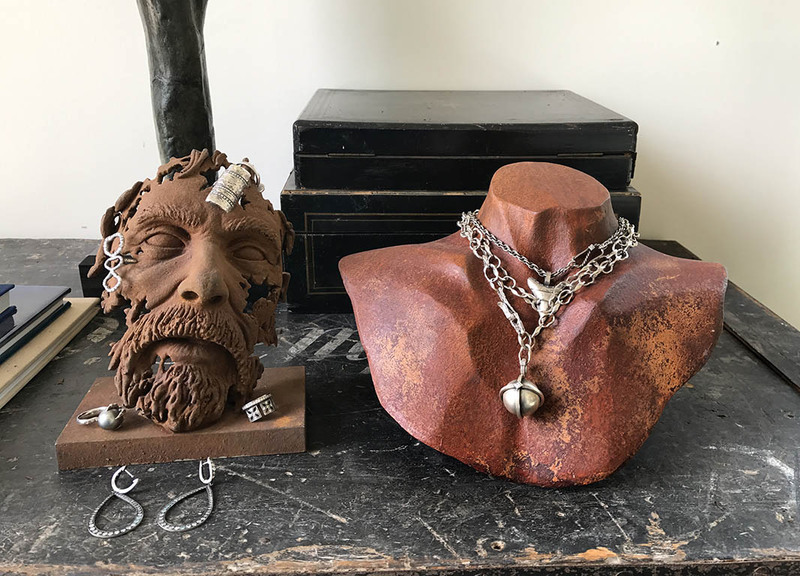 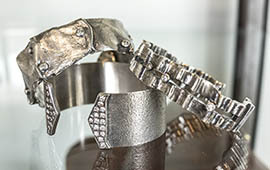 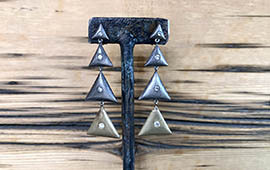 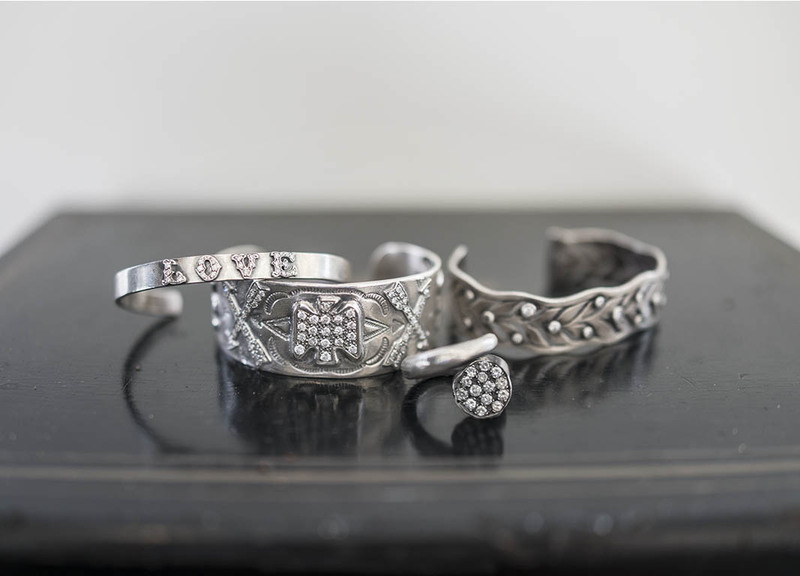 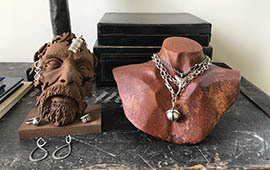 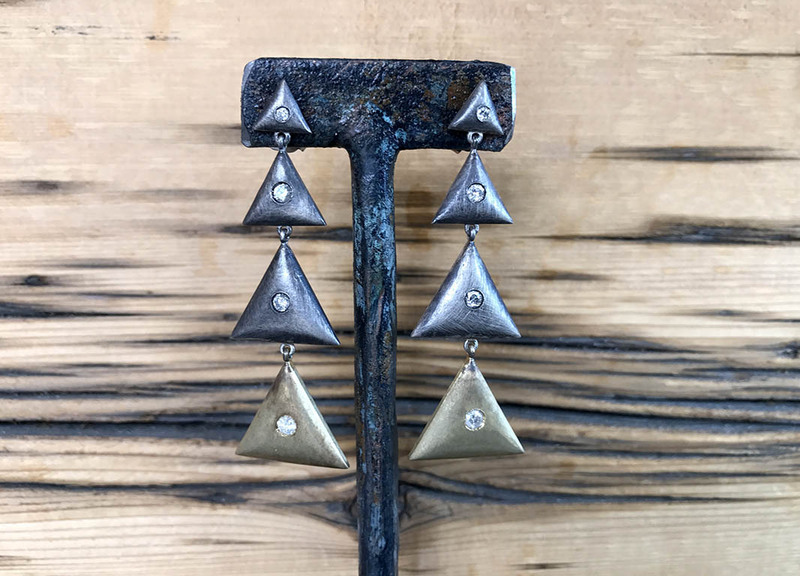 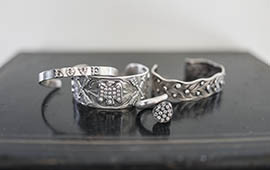 The thread throughout the disparate themes is oxidized silver, studded with diamonds that Irit uses on most of her work. 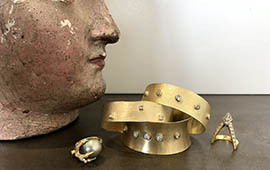 A few gold pieces twinkle in the collection. 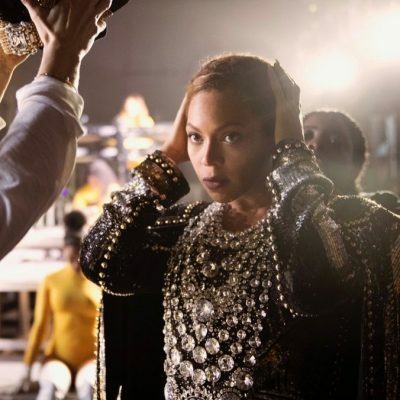 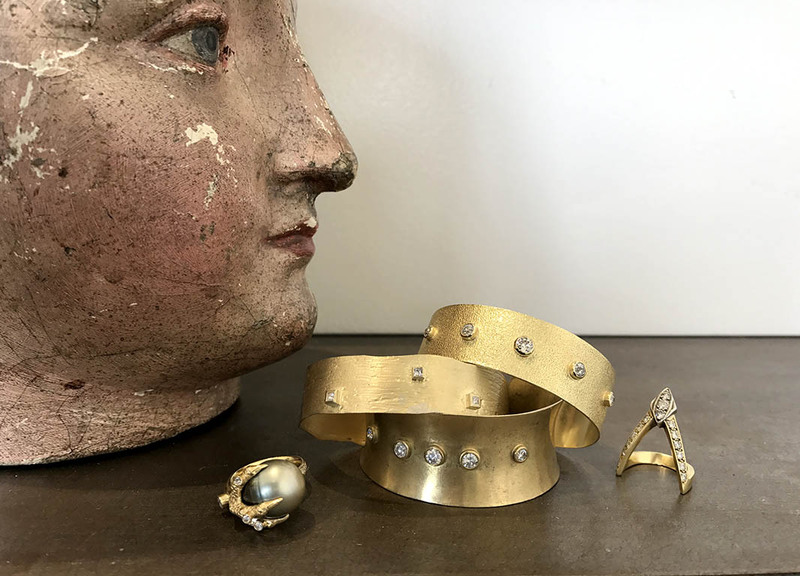 The irresistible jewels have attracted luminaries from former First Lady Michelle Obama and Barbra Streisand to Taylor Swift and Ariana Grande. 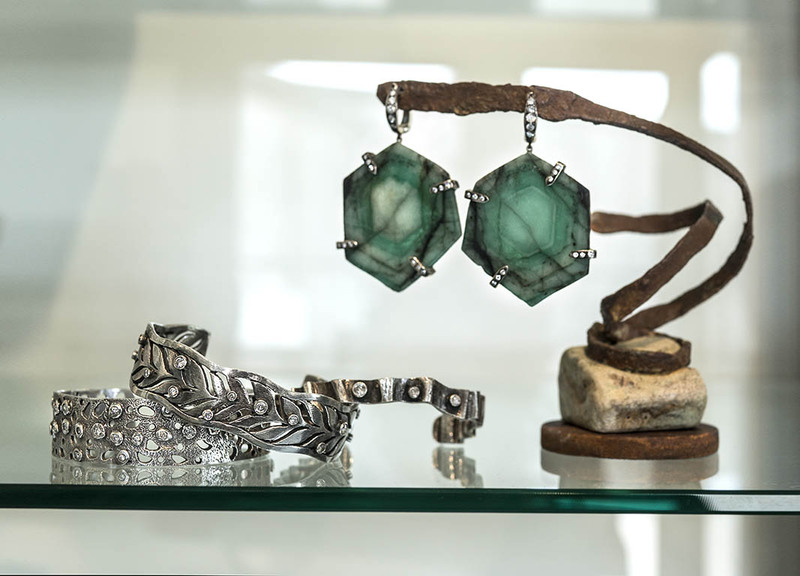 The little shop’s décor is a perfect reflection of the jewelry. 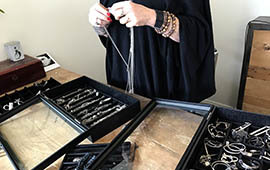 “It’s a warm minimal style,” says Irit. 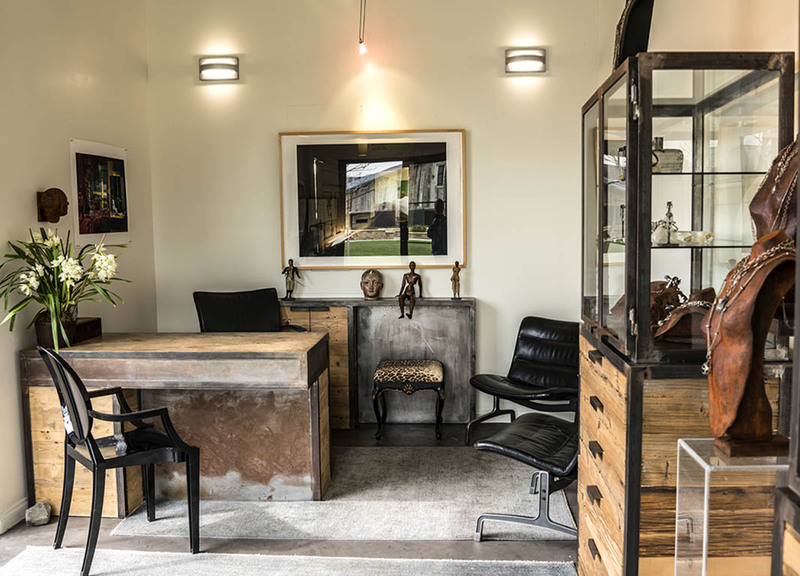 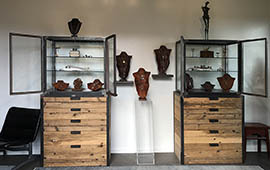 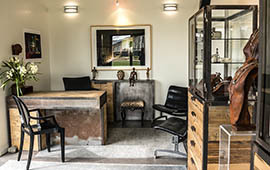 The carefully chosen pieces include a desk and cases of recycled wood and distressed steel. 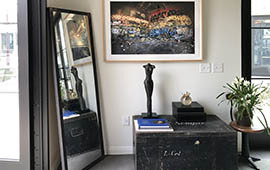 A vintage trunk that belonged to a Sargent in World War I acts as a table for books and a small sculpture. 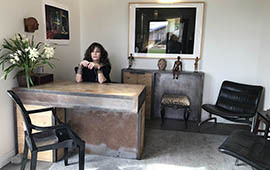 Mid-century black leather chairs from the Pirelli factory in Milan make comfortable places to sit down. 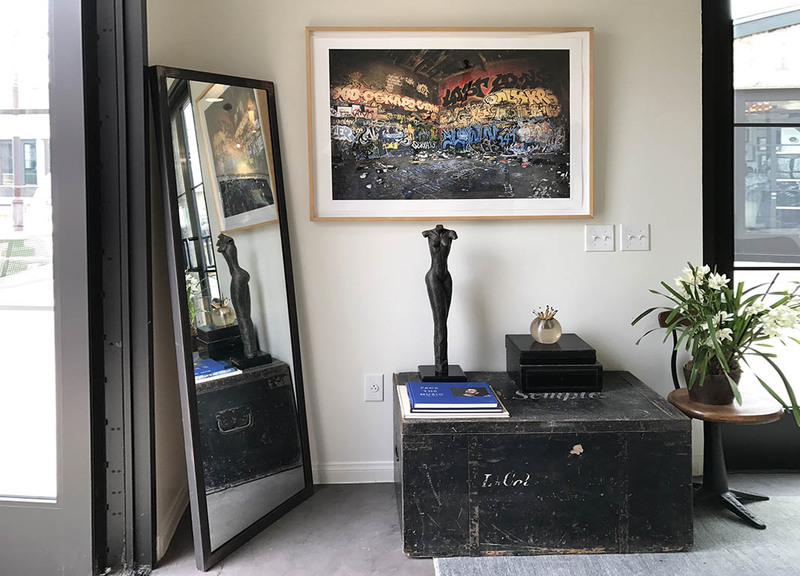 Large scale photographs by Irit’s husband Richard Ehrlich depicting the colorful graffiti in Belmont Park and one of the mysterious sand filled home’s in Namibia decorate the walls. 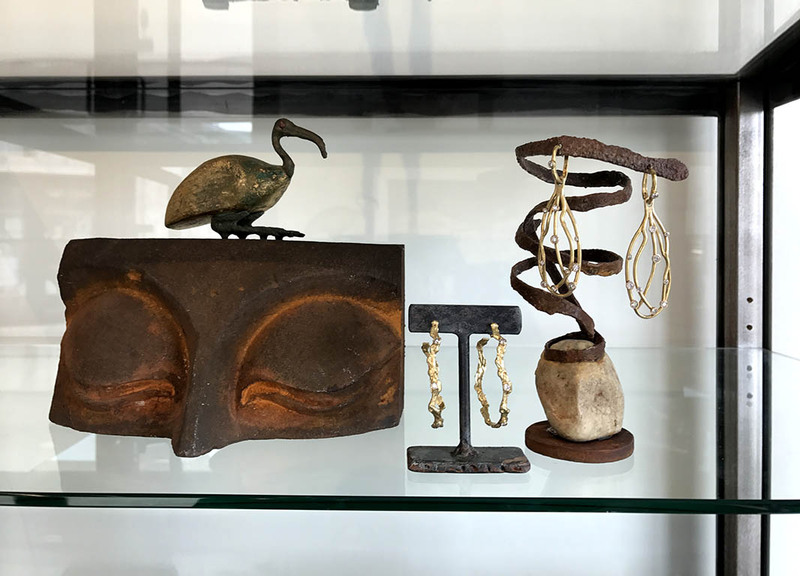 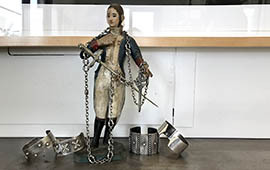 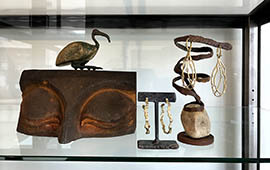 Perfectly chosen objects ranging from a Napoleonic figure to an ibis bird are carefully placed throughout the space. 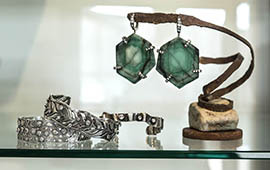 While it may sound like a mish-mash, there is totally harmony with the jewelry, the décor and the location.